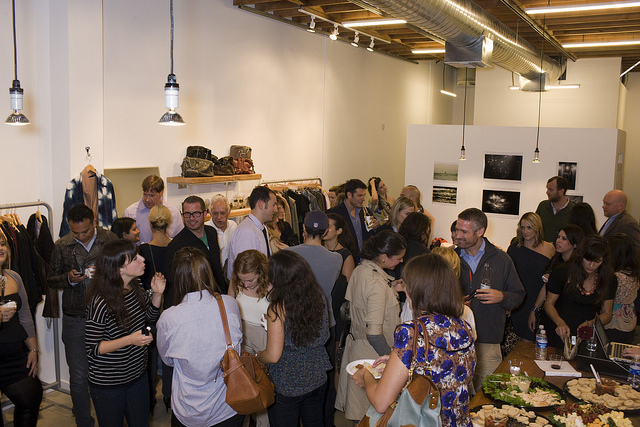 Bloggers, media, stylists, and celebrities recently came together to celebrate not only the launch of a new store, but also the early moments of a soon to be blooming community. 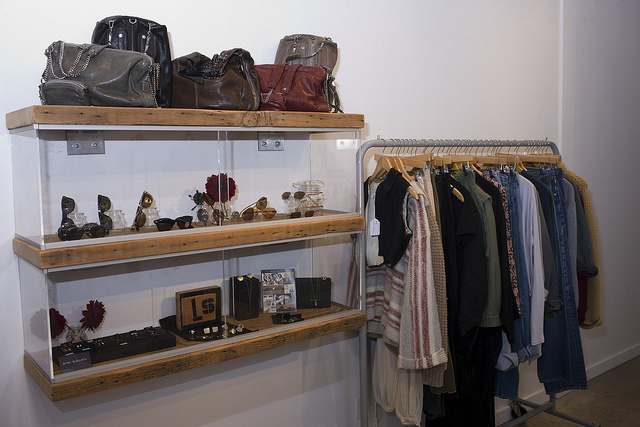 In Residence, a community driven space where fashion, art, and commerce collide is a place dedicated to the undiscovered gems, raw talent, and to connecting the line between art and commerce. In Residence, cofounders Rachel Salzman and Tracey Moulton were drawn together by their love for the simple and classic aesthetic. Their friendship developed over a conversation about the fantasy of a boutique focused on unique, comfortable, and timeless clothes for men and women, that ignites passion for old and new and provides an experience and sense of community to those who come through the door. 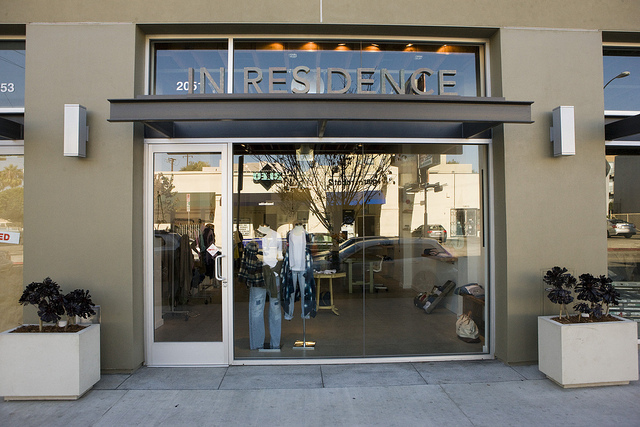 In Residence, will also offer shoppers, a variety of emerging and new designers underrepresented in LA, along with the In Residence in house line of luxe basics for men and women that’s centered around four staples pieces, the perfect tee, throwback sweatshirt, classic henley and super cozy softie, all made from 100% cotton and produced in Los Angeles. Electric Feathers – Beautifully constructed and unique silk dresses and jumpers. As part of the collection, In Residence will feature an exclusive hand-died selection of one-of-a-kind pieces. Odylyne – Feminine and easy to wear tops, trousers and dresses. For holidays, In Residence will feature more formal pieces from the collection. Velva Sheen – A recently revived old-school basics line. 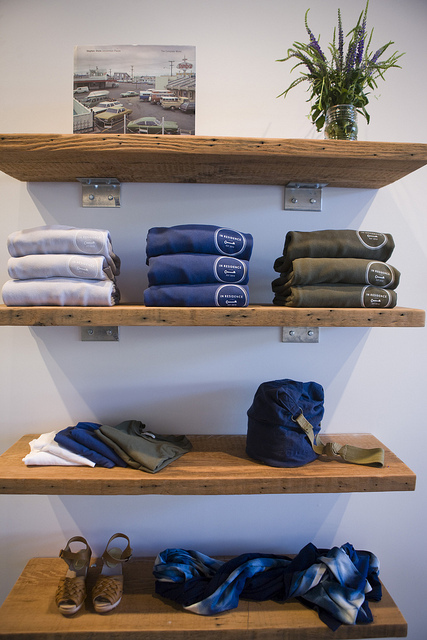 Carrying their classic tees in 2 packs for men. Vintage: Selection of everything from basic Levi’s to repurposed army backpacks, etc. Tons of handpicked dresses, jumpers, sweaters.